HUGE SELECTION, GREAT VALUE, RAPID DELIVERY!! Simoni Racing Boss Kit Subaru WRX 08 [GE]. Bought from Demon-Tweeks but never used. Designed to maintain the original steering wheel position with a flat dished steering wheel, they can be used with wheel spacers and other hub accessories to achieve the position and function you require. Simoni Racing Steering Wheel Hub Boss Kit - 524.295 TOYOTA AYGO 06 ON. Steering Wheel Hub Specific FIAT 500 From 57 Al 75 SIMONI Racing 01 Dij350/w. Simoni Racing Steering Wheel Boss Hub Kit - 524.730. Image For Illustration Purposes Only And Actual Item May Differ From The One Shown. OPEL KADETT PRE 1980. Designed to maintain the original steering wheel position with a flat dished steering wheel, they can be used with wheel spacers and other hub accessories to achieve the position and function you require. Simoni Racing Handbrake Gaiter. Finished in Grey Leather with Racing Logo. Universal Fitting. PUT US TO THE TEST! Tie Top for a snug fit. made with love by. We will always help you to have a 100% positive happy buying experience. Gear Knob Simoni Racing Special Winner Skin. The Special Winner gear knob from Simoni Racing is an designed gear knob for outstanding comfort, grip and quality feel. Knob fits in the hand comfortably. Studio: Simoni Racing. CLOTHING |. AUDIO BOOKS. UPC: Does Not Apply. We promise to do everything possible to put things right for you. Orders will be fulfilled by our own warehouse or a 3rd party supplier at our discretion. This item has no title!! Simoni Racing 524.332 Steering Wheel Hub (6x70mm & 6x75mm steering wheel installation). SIMONI RACING ALUMINIUM & CARBON GEAR KNOB with ANATOMIC GRIP. Manufactured in Italy by Simoni Racing, this aluminium/carbon gear knob provides an attractive interior upgrade. Simoni Racing Handbrake Gaiter. Finished in Green Leather with Racing Logo. PUT US TO THE TEST! Tie Top for a snug fit. made with love by. We will always help you to have a 100% positive happy buying experience. Simoni Racing Gear Lever Gaiter. Finished in Grey Leather with Racing Logo. Screw Top to fix straight onto your Gearknob. PUT US TO THE TEST! Elasticated bottom. OUR SALES TEAM HAVE BY FAR THE BEST KNOWLEDGE AND EXPERIENCE IN THE NORTH OF ENGLAND. Simoni Racing Gear Lever Gaiter. Screw Top to fix straight onto your Gearknob. Finished in Blue Leather with Racing Logo. PUT US TO THE TEST! Elasticated bottom. OUR SALES TEAM HAVE BY FAR THE BEST KNOWLEDGE AND EXPERIENCE IN THE NORTH OF ENGLAND. Simoni Racing. BY ADDING A UNIQUE TOUCH TO YOUR CAR. 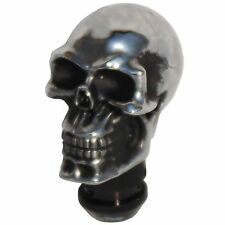 Simoni Racing"Sport Action" Gear Knob. "Winner Cromo". SIMONI RACINGQUICK RELEASE (QR/2). Universal spacer with quick release in black anodized aluminum with CNC milled cutting edge. Universal mounting system for 6-hole flywheels with the possibility of fastening to a steering column by welding or on a hub. Simoni Racing Gauges Tubes, 2 holes, CHEAP DELIVERY WORLDWIDE, SALE!!! Simoni Racing Gauges Tubes - 2 holes on gauges. Simoni Racing gauges tubein thesensationallow price! This tube is original, made from good material, you can paint it or made a leather cover on it. ONLY NOW -% OFF PRICE ,SALE! SIMONI RACING. SUZUKI SAMURAI DAL '88 AL '95. 3478185038 anche via whatsapp. disponibili an che con inserti in pelle blu, ross a e ino x.
Simoni Racing. HORIZONTAL PANEL. Holes: 52mm. ALSO AVAILABLE AT 1 AND 3 HOLES. 098296469 - 3478185038.